Charged Hong Kong members are talented individuals. It is my honour to have invited one of the most respectable doctors in Hong Kong to tell his Member’s’ Story. Welcome Dr. Philip Kwong Wai Kay -- Consultant Clinical Oncologist, Queen Mary Hospital and President of Hong Kong Society of Uro-Oncology. Locky Law (LL): Hello Phil, pleasure to have you with us today. Dr. Philip Kwong (DPK): Hello Locky. Hello guys. LL: You are the very first doctor to appear in our Members’ Stories series, and I have so many questions to ask you, ranging from medicine to the environment. But since we have time, let’s start off with some personal question about you. In your 營廚駕到 video, the one you did for www.cancerinformation.com.hk, you shared how you have become a doctor, how about why you chose to focus in oncology? DPK: It’s more by chance than by choice. I was assigned to the Department of Oncology under the late Prof HC Ho, who was regarded as the father of oncology in Hong Kong. He’s the aspiration that got me going in the field of oncology, and I never looked back since. LL: I see. I am no expert in cancer, so… how is cancer manifested actually? DPK: It’s multifactorial - genetics; environmental exposures to different types of chemicals and radiations; lifestyle factors such as tobacco use, diet and physical activities; and certain infections. LL: And is that in any ways related to your EV ownership, and why you choose the EV you now own? DPK: Yes. Pollution is a major cause of health problems including cancer and owning an EV instead of an ICE car is one of my steps to contribute to environmental protection. I have been watching EV development for quite some time and finally decided to buy the Tesla Model S in 2015 because it’s the real practical EV that met my need. LL: I have always had this question in my mind -- Do doctors generally believe that EVs are good for the environment? And do you think doctors often consider the “health” factor when they choose to buy their own ride? DPK: Most of the doctors that I know understand the importance of environmental protection but many still think that EVs are slow, have short range, lack of features and not practical. The good thing is doctors are eager to learn and very adaptive to new technology so once they know the truth about the advancement of EV, they are very enthusiastic about it. LL: As we both know that Hong Kong’s clean air has been seriously affected by smog from the north. Like the forest fires that brought smog to Singapore once a year, Hong Kong citizens seem to think there is little they can do. Do you have any suggestions for us (as to what we can do to alleviate the problem)? DPK: what we can do personally is have a greener life and cut down our damage to environment, and teach our children. As a group, we should advocate different methods of environmental protection and work with other groups and organizations as a force. LL: Alright, here comes the sharper questions. Ready? Question 1) Some people argue that EV isn’t worth the FRT waiver because the effect of cutting air pollution is hard to be seen. From a doctor’s point of view, what’s your view on this? And by the way, it could end on 31st March this year if it isn’t extended. DPK: The fact is on the road, EV is zero emission, and it’s quieter and generates less heat when running. So it has less air, sound and temperature pollution on the streets where we live. People always argue that there is still pollution in generating electricity but that is definitely less than the production of petroleum, and the emission is in a controlled environment, unlike ICE car exhausts that pollute the air all over urban areas. And when more renewable energy is used to generate electricity, which is happening in many countries, the total pollution by EV will become lower. LL: So you are FOR the EV FRT waiver extension for another 1, 2, 3 or more than 3 years? DPK: Yes, FRT is not a benefit or privilege to EV buyers but a government policy to promote EV. 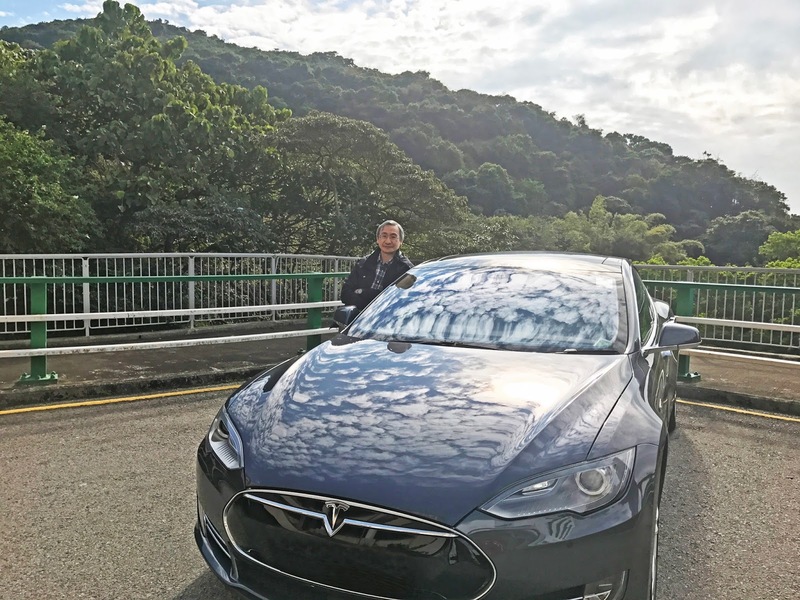 EV is still a minority in HK so the policy should not be changes in the coming few years. LL: Question 2) Some say offering EV FRT waiver extension simply means the Government has less income, so the Government does not have enough money to spend on healthcare, which is why there aren’t enough hospital beds for patients. Would you agree with this? DPK: Government does not have less income because of EV. Many people, including myself, will not buy a Tesla if the price is almost doubled. People will either not buying a car or buy a cheaper car so the difference in tax income is more less. The small decrease is not a factor in less budget in healthcare. Moreover, the expense in healthcare in dealing with diseases associated with pollution and the amount of man-hour loss because of these diseases will be huge if more and more ICE vehicles are running on the street. 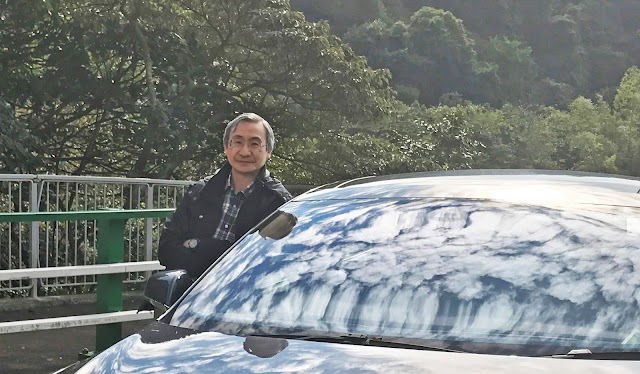 LL: Question 3) Let say that, if it was so unfortunate that, EV FRT waiver came to an end on 31st March 2017, would kind of impact would you expect to see in the city’s EV development, the air quality and the health of Hong Kong citizens? Disastrous or nothing much? DPK: It will halt transition from ICE to EV in HK. The effect on health of citizens is not apparent immediately but we are going to see more and more pollution-related diseases. LL: Thank you, and that was the last of the harsh questions, but I do have one more easy one for you. What would you say to the doctors who are still driving their gas-guzzling ICEVs (Internal Combustion Engines Vehicles) who might be interested in switching to EVs? DPK: I think as responsible citizens and particularly ones who understand the relationship of environmental pollutions and diseases, we should take the lead and set examples. LL: Well, that’s all the time we have with Phil today. Phil, thank you so much for your time and it has been my honour to have you here with us today. We hope to have more chances to learn from you in the future. It’s never enough for us to be able to speak to the President of Hong Kong Society of Uro-Oncology. DPK: Thank you very much. LL: Thank everyone for tuning in and see you all in our next Charged Hong Kong Member's Story!